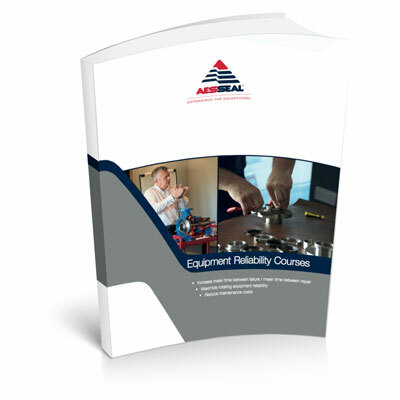 AESSEAL® provide essential mechanical seal, seal support system and centrifugal pumps training for your team. Qualify Your Knowledge and Develop Your Team. Get the knowledge you need to progress within your plant, solve equipment problems, and work more effectively with mechanical seals, centrifugal pumps and bearings. We take training seriously – the primary objective being to enhance mean time between failure in order to reduce costs, improve the sustainability of your plant and allow you to focus on other pressing business issues. Essential mechanical seal, seal support system and centrifugal pump knowledge to help you advance and improve equipment reliability. The course introduces to delegates the correct mechanical seal operation, how to extend your mechanical seal life, as well as easy to implement troubleshooting techniques. 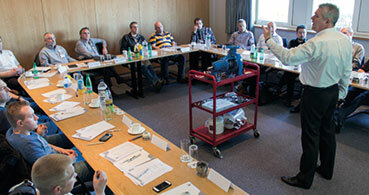 The course helps to improve root cause failure analysis of the complete system, to improve equipment reliability, as well as improving troubleshooting techniques through the use of case histories and group discussion.